This residency expands some of the political and artistic questions relating to bodily presence, bodily traces, and privacy in digital culture from the Performing Encryption Improvisational Workshop. (Hosted by the Living Archives Research Project at IAC in 2015 http://livingarchives.mah.se/2015/05/invitation-performing-encryption-improvisational-workshop/.) For that workshop, we experimented with inserting movement into the generation of a digital encryption key (GPG). For this second research installment, we open the processes by integrating specific somatic performance modes (such as Skinner Releasing and affective improvisation) with Motion Capture and Virtual Reality. 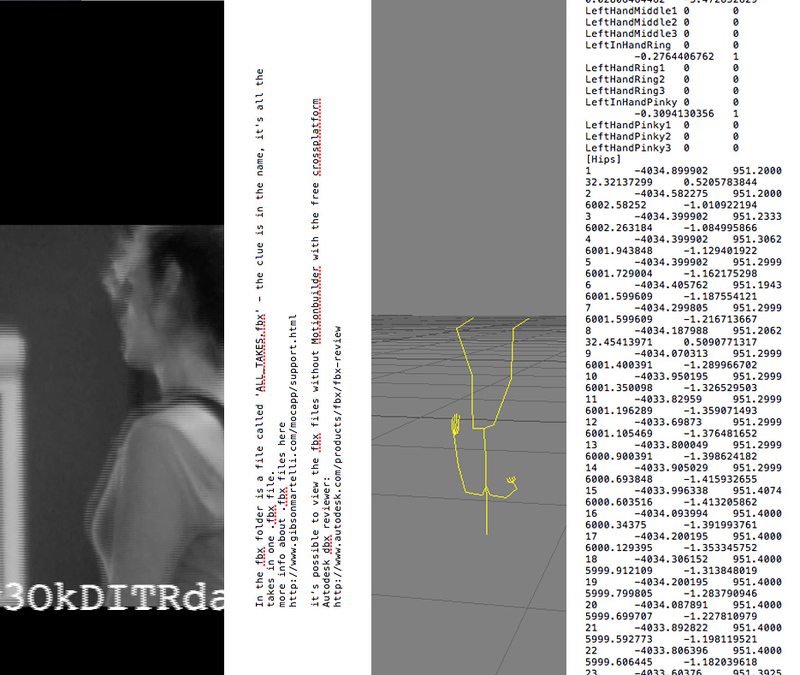 The results might take the form of algorithmic manipulation, visual traces, or live performance practices. Or something else entirely. This artistic research is a collaboration between Gibson/Martelli (London, UK) and the Living Archives Research Project (Faculty of Art and Communication, Malmö University). It combines active research in Living Archives relating to the Performance of Memory and Open Data by integrating critical philosophical thinking with collaborative artistic research methodologies.